James Wan may have recently made the jump to superhero cinema, but the Aquaman helmsman still has one foot in the genre he first made his name in. For the upcoming Annabelle Comes Home, for instance, the filmmaker boasts a producing credit, and in a recent Instagram post, Wan debuted the first image from the demonic doll’s third standalone outing. While Ed and Lorraine are both confirmed to feature in the next Conjuring Universe installment, the focus of the drama will be on their daughter Judy, played by Mckenna Grace. Along with her babysitter Mary Ellen, played by Madison Iseman, the young Warren will have to contend with the evil that awakens in the artifacts room. 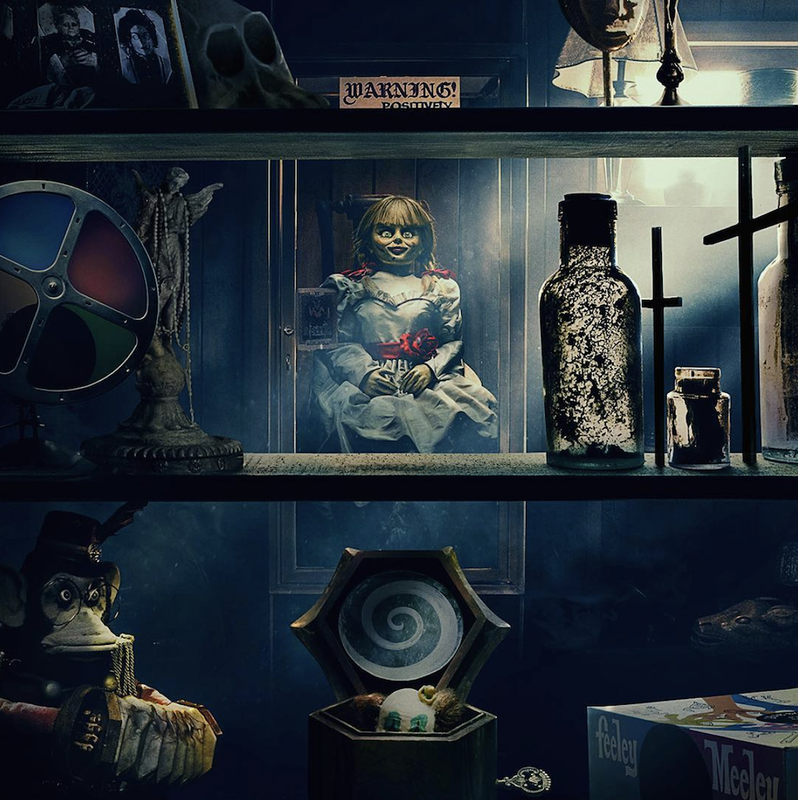 The story was reportedly pitched as the horror version of Night at the Museum, which suggests that Annabelle probably won’t be the only object in the above image that causes trouble for our lead. With a few demonic friends potentially on her side, we’ll see just how much havoc the doll can wreak when Annabelle Comes Home hits theaters on June 28th. After that, the spotlight will be shifting back to Judy’s parents for The Conjuring 3, which comes out on September 11th, 2020.